Carrot-Mango-Appel-Ginger Smoothie Juice - Your process has a purpose. This recipe is amazing. If you are going to make only 1 smoothie, make this one! I have a new favorite recipe. It’s sweet, it’s different, and it contains carrots. Yes, carrots. High in antioxidants (beta-carotene), carrots prevents cardiovascular disease. 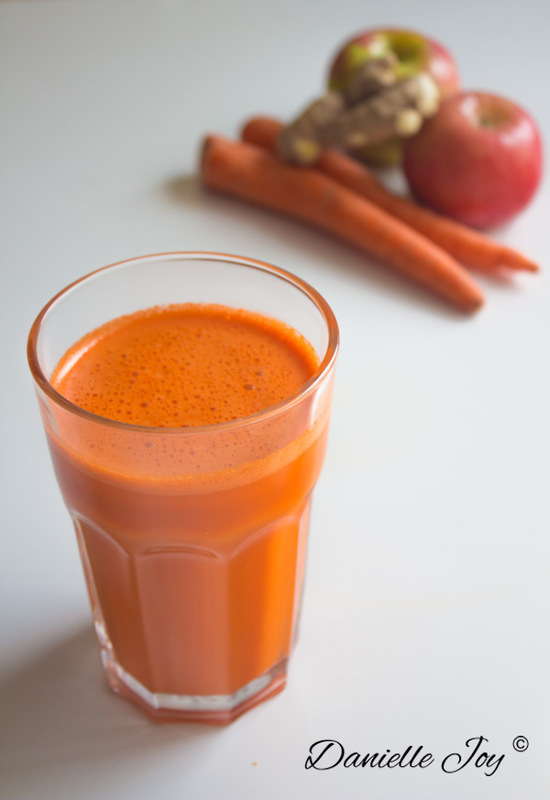 Most interestingly, carrot juice closely resembles the molecules of red blood cells. And as we all know, blood = life. I call this a “smoothie juice” because the consistency is between the thickness of a smoothie and the fluidity of a juice. If you want to make this smoothie thicker and be budget-friendly, you can use frozen mango instead of fresh. Note: you will need both a juicer and a blender for this recipe. Cut up mango and put in blender, then transfer carrot-apple-ginger juice to blender. * Leave on the skin of the ginger while juicing (use organic ginger, preferably). This will cause the flavor of the ginger to come out better.